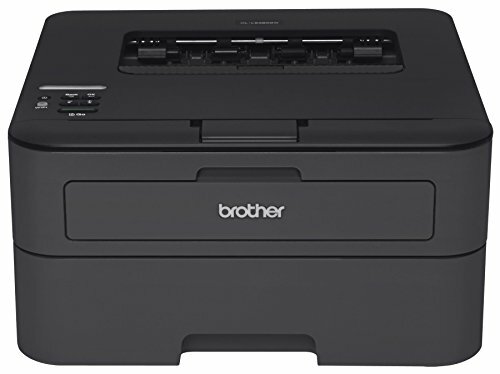 Reliable, affordable monochrome laser printer for home or small office use. Connect via wireless networking or hi-speed USB interface. 1-Line LCD display for easy menu navigation and setup. Automatic Duplex printing. Fast print speed up to 27ppm. Prints high-quality documents at up to 2400 x 600 dpi. Compact size, with adjustable Letter/legal 250-sheet capacity tray, and manual feed slot for envelopes. Print from compatible mobile devices over your wireless network. High-yield Replacement toner cartridge available to help lower cost per page. Toner save mode for less critical documents.